The second annual retreat of Babaji Satyanarana Dasa’s students was recently held in Switzerland, drawing students from Europe, United States, Australia, and India. Although the range of experience and knowledge of the students varied considerably, the objectives for all were to further develop their personal sādhana and to gain a correct understanding of pure devotion (uttama bhakti ). During the first week, students had the rare opportunity of being in an environment that supported long periods of japa chanting, with few external distractions. Telephone, Internet and computers were not allowed. Everyone was asked to forget everything except the chanting, as if the rest of the world did not exist. Although chanting is one of the simple processes of devotion, to do it properly requires instruction. Babaji referred to various shastras which describe the proper method of chanting. 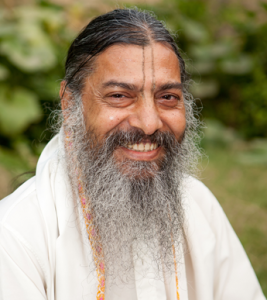 Babaji also provided personal guidance in proper chanting, and even long-time devotees were able to improve the focus and quality of their chanting. During the second week, Babaji lectured daily both morning and afternoon for three hours each, on bhakti using Śrīla Viśvanātha Cakravartī Ṭhākura’s Mādhurya-kadambinī as the main text, with selected excerpts from Śrīla Rūpa Gosvāmī’s Bhakti-rasāmṛta-sindhu, as well as Śrīla Jiva Gosvāmī’s Śrī Bhakti Sandarbha. The lectures covered the correct meaning of bhakti, how it is attained, characteristics of bhakti, offenses blocking bhakti, divisions of bhakti (rāgānuga and vaidhi), and steps in the progress of bhakti. There were lively discussions and questions raised by the participants which illuminated very subtle and practical points about bhakti. 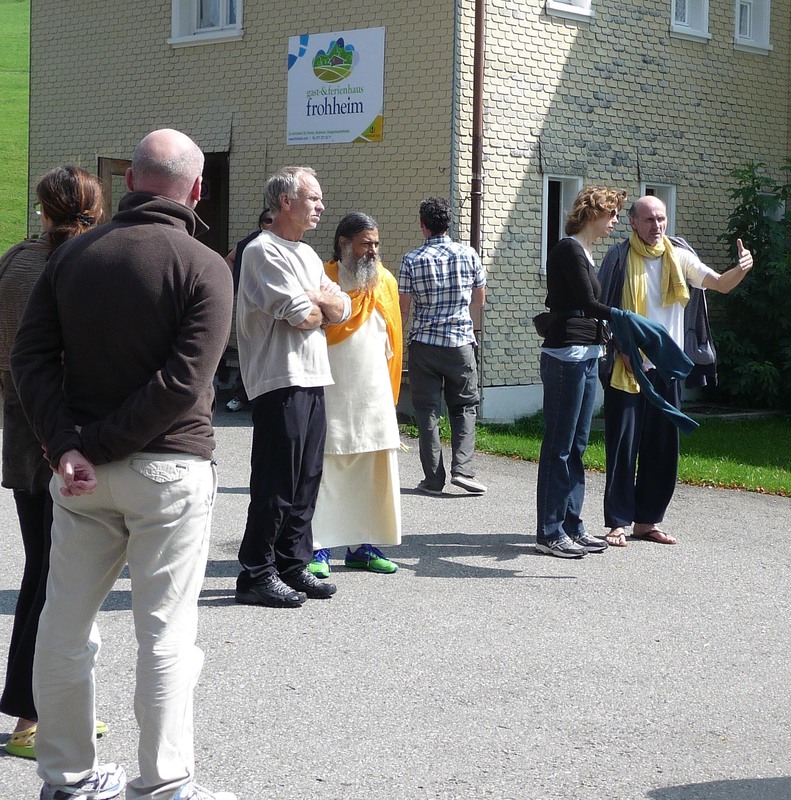 The 30 devotees enjoyed wonderful prasāda, the company of each other, nightly kirtans, and the celebration of Sri Krishna’s appearance day, as well as the beauty of rural Switzerland and the joy of having fresh milk from the local cows. Fortunately the weather was very pleasant and sunny throughout the retreat, and every day devotees went on walks in the lush green meadows. Babaji consciously didn’t plan or delegate the details of the daily services, like cooking, cleaning and serving since he wanted the devotees to naturally follow their liking, as per the nature of rāgānuga bhakti sādhana. It worked out to the satisfaction of all. At an iṣṭagoṣṭhī with all the devotees Babaji declared that in the future he will have three levels of retreat. Next year the primary level for beginners will be held in Europe, most probably in Switzerland, from September 7th to 14th. Others who have already taken the retreat are also welcome to join. The second level of retreat will be held in Vrindavan at the Jiva Institute from November 9th to 19th. This will be more intensive than the last retreat and only those who have participated in a previous retreat can attend. The third level of retreat will be held only for very select devotees. In this intense course course, with devotees in seclusion, the deepest secrets about japa will be taught. 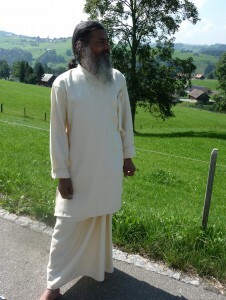 Babaji also mentioned that beginning from next September he will offer a a three-year degree course on śāstra. He also revealed his plans for creating Jiva Vedic University at Hodal, part of Vraja, one hour away from Vrindavan, where Jiva Institute has acquired about 15 acres of land. The construction is scheduled to begin by the end of this year. “I have been chanting for 40 years the mahamantra, but have not made significant improvement. In one week of practicing according to the method prescribed, I felt that I made some head way. I found this retreat to be so much more than I could ever imagine. that touched my heart and soul. kirtan, seva, and hikes in the beautiful countryside. held within Babaji’s wisdom, love and guidance. while in the practice of Japa and Shasta. an open heart and an experience of a lifetime. “I know no words that would describe beatitude that has landed in my heart in these few days of purification through wonderful sanga of You, Babaji, and all Great Devotees, as well as the practice with all programs. It has been deeply touching and certainly an eye opener. It has given us a real taste of Spiritual life and showed us value of genuine Guru Parampara. Despite such a short duration of this retreat and very mild in discipline, the results are outstanding. My heart has burst into tears of joy and bliss. Babaji, You have elevated my heart to the dimension that I have long forgotten. Dimension, which for me, has empowered the meaning of altruistic service to the Lord. In my humble opinion life should be such a retreat, as this retreat was a real TREAT. 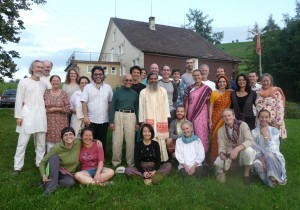 The retreat has brought a lot of clarification, empirical knowledge and purity in the heart. “What we experienced during the retreat was great happiness because of having the opportunity to have your association and listen to your 6 hrs lectures every day in an ideal environment in which our only task was to learn from Your Holiness. One may think that 6 hrs is a long time for philosophy lectures (sincerely, we had our doubts about our capacity to be able to be attentive during all that time) but your incredible capacity to present in a very clear and easy way the deepest and very complex concepts of Vaisnava philosophy as well as your great sense of humor, rendered your lectures easy to understand (according to our capacity) and very enjoyable. In fact, at the end of the retreat, we felt like we had arrived just one day before but actually we were there for a week! and all the assembled Vaishnavas! “I found the retreat very helpful. It helped to restore my faith in Harinama and sastra, and it showed me how much association really affects us. We tend to accept credit for our good qualities and overlook our shortcomings or blame others. My understanding so far is that really it all stems from association, our teachers, parents, society etc. The example of the human mind being like a crystal, which takes on the qualities of something placed beside it. During the retreat setting, with all that external ‘noise’ gone, or minimised, and hearing regularly from sastra and the acaryas, it’s possible to actually be aware and think more clearly. That’s a good environment for sraddha to become strengthened, because it seems sraddha and awareness are linked. 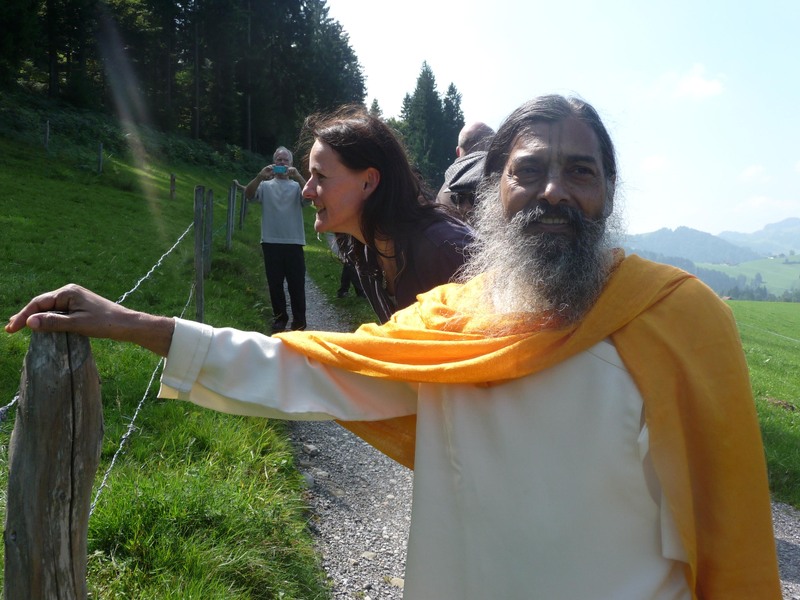 “As a result of learning the proper method of chanting during last year’s retreat I was eager to improve my practice, and focus on the Holy Name without the distractions of daily life. Babaji gave us the wonderful challenge and a unique opportunity to deeply absorb ourselves in the Name by eliminating all other samskaras and just feed this one – nama japa. Resisting the temptations of the beautiful landscape and relinquishing electronic communications for one week, I endeavored to forget the outside word. Nothing else mattered during this precious period, only our small group of devotees, all gathered for the same purpose, eager to learn from Babaji. The result was amazing. While I sadly realized how many offenses against the Name I had previously committed, I experienced the Mahamantra in a way I never had in my over 20 years of daily japa. This was very encouraging, and it also showed me how essential a peaceful environment and an undisturbed mind are for good results and progress. Without such retreats, at least for me, such an experience would not be possible otherwise. Paragati dasa & Sunayana d.d. “The retreat has been a very deep entrance into studying path of pure devotion. Dr. Satyanarayana Dasahas a genuine holistic knowledge of different darshanas as well as full dedication to his own path, being a scholar of the Gaudiya scriptures. It is both wide and very specific, so he can give complete answers to our different questions, and put everything, every concept into its own place. It is very satisfying, pacifying and balancing for the mind. His company is most precious and valuable. In him are held together the most inspiring Love, the brilliance of an efficient teacher, the full skill and authority of a master, and the total surrender of a devotee to his seva. I could watch and experience it.